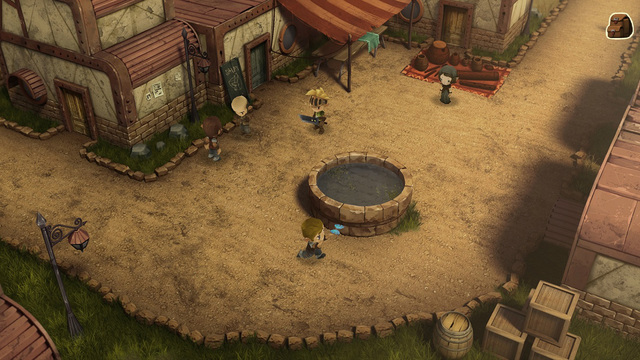 Evoland is a fascinating and unique RPG that progresses you through different graphics styles: from monochrome to full 3D graphics. It’s actually worth buying for those early stages alone, it’s interesting and nostalgic (I find myself thinking that the 2D era worked best on a smartphone) but the eventual 3D game is also well worth playing. There are tonnes of dungeons, secrets and puzzles, with secrets to uncover, and lots of achievements. In the later stages it does become a bit “reflex dependent” – a reason I stay away from platformers. Timing jumps etc is a hassle and also makes an otherwise good game unplayable for players with ability issues. By the end I was struggling through, but even having got that far was worthwhile bang for my buck.